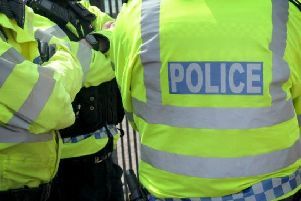 Police are appealing for information after a car jacking took place in Leamington yesterday (Tuesday). The incident took place between 1.15pm and 1.20pm on Lillington Road. The victim, who is a woman in her 50s, had arrived at her home address when she had her car keys and red Porsche Macan stolen. It is reported that when she arrived home she had parked on the drive and opened the boot to remove shopping, whilst walking to the front door she noticed a man appear behind her, he then used force to pull the keys from her hand. The offender has then got into the vehicle and drove north towards either Lime Avenue or Sandy Lane. The man has been described as mixed race, 6ft in height, athletic build. He was also wearing all black clothing with a black balaclava covering his face. Inspector Tim Sharpe of West Mercia Police, said: “We are taking this incident incredibly seriously as the car was taken by force from the victim in a calculated way. “This was a terrifying ordeal for the woman and it is only fortunate that she wasn’t hurt. “At the time of the vehicle being taken, the car boot had been open, we are therefore appealing to anyone who may have seen this very distinctive vehicle around the times stated, especially the direction of travel from Lillington Road. Anyone with information should call 101, quoting incident number 189 of October 10.